What a difference a year makes. Just 365 days ago, Schalke suffered four successive Bundesliga defeats and were heading for a fifth while all connected with the Royal Blues endured a forgettable opening to the 2016/17 season. Spring forward to the current day and the Gelsenkirchen giants are level on points with reigning champions Bayern Munich ahead of the teams’ Matchday 5 meeting at the VELTINS Arena. Under the guise of recently appointed coach Domenico Tedesco, Schalke have won three of their four games to date with an opening week triumph against RB Leipzig providing a spectacular springboard to the current campaign. A setback against Hannover followed on Matchday 2, but Die Knappen quickly recovered to record maximum returns against VfB Stuttgart and Werder Bremen and now mirror the nine points total currently held by Carlo Ancelotti’s Bayern side. Bringing a fresh, enthusiastic stimulus to training sessions while testing out several players in new positions has piqued the interest of this Schalke team, now up to fourth in the standings. In recovering from going a goal down against Werder to win 2-1 at the weekend, Schalke scored twice from corners. Registering five goals from set pieces this term compared to seven such goals in the entire campaign last year, means Tedesco’s methods are having an effect. “The technical and tactical side of management is important of course, but the most important part is in an emotional sense, to have good communication with the players,” the 32-year-old tactician recently explained to Frankfurter Allgemeine. “I just try to be myself, to be honest and honesty is important, even if it sometimes hurts,” he added. Tedesco’s honesty came to the fore during last weekend’s win against Werder, when he admitted his side weren’t playing up to the standard expected during the opening 45 minutes. “It wasn’t easy to play here in Bremen, and was especially difficult for us in the first half,” the former Erzgebirge Aue coach explained. “In the future we need to start winning second balls sooner so that we can swing games in our favour,” he added. Tedesco’s ability to respond adequately to a given game’s demands, such as introducing Nabil Bentaleb in the second half against Werder, or going for the win by throwing Breel Embolo into the mix late on is also playing a part in Schalke’s revival this term. “We were a bit more aggressive than Bremen which enabled us to play in their half for the most part [after the break],” match winner Leon Goretzka said. “I have to give [substitute] Nabil credit as he gave us the structure we needed. You could see with our [coach’s] offensive substitutions that we weren’t happy to take a point and, by the end of the game, we only had three midfielders but it paid off,” the FIFA Confederations Cup winner with Germany continued. And so to Bayern, and should Schalke upset the odds and claim a win on home soil, it would send the Royal Blues to the top of the standings, at least for an evening. 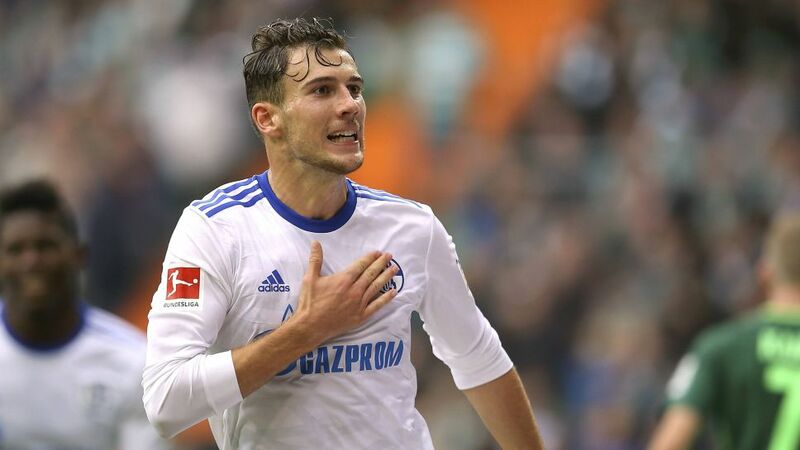 “When you play against Bayern, you must do so with your head held high and your chest out, that’s why our three points [against] Werder were so important – in terms of our self-confidence,” Goretzka concluded. A collective self-confidence that appeared non-existent just one year ago but these days abounds at a much-improved Schalke.